Africa is a continent. Although, it is often confused as a country, especially by people who have never visited Africa. 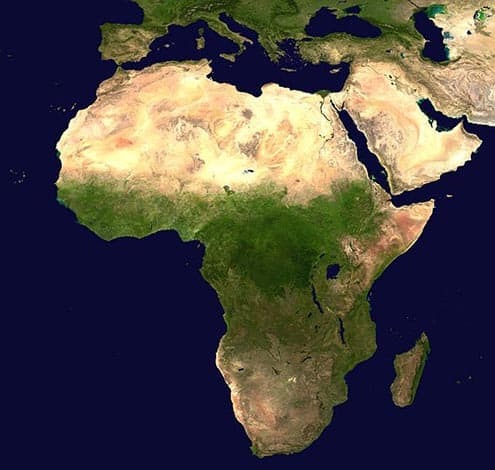 According to the African Union, there are 55 Countries in Africa. The following is a list of all recognized countries in Africa and their capitals sorted out in alphabetical order. The Capitals are in bold letters to allow for visual clarity. Are these all the countries in Africa? Note: Sahrawi Arab Democratic Republic is a partially independent country, but there remains a bone of contention between the country and Morocco. Morocco left the African Union because the African Union recognizes the legitimacy of Sahrawi Arab Democratic Republic. However, Morocco has now rejoined the Africa Union.